Love bears all things, believes all things, hopes all things, endures all things. 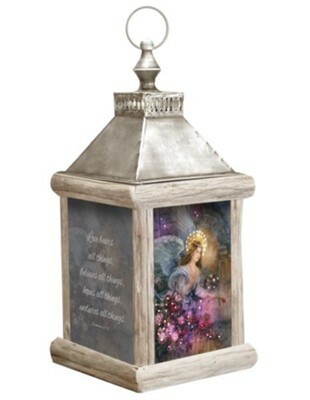 I Corinthians 13:7; angel and flowers motif that lights up with tiny lights. I'm the author/artist and I want to review Angel of Love, Fiber Optic Lantern.